You’ve done the work, now it’s time to get paid. Mobile invoicing is a quick and easy way for business owners to get paid promptly. Here’s a rundown of what mobile invoicing is, its benefits to your business, and how to send mobile invoices free within the Square Invoices app. Mobile invoicing is an easy way to bill your clients right from your mobile device so they can pay you quickly and securely. With a digital invoice, your customer receives a payment request in their email and they can pay online from wherever they are by entering in their card information Installing a mobile invoicing app on your phone makes it even easier to send and manage your invoices in just a few taps. 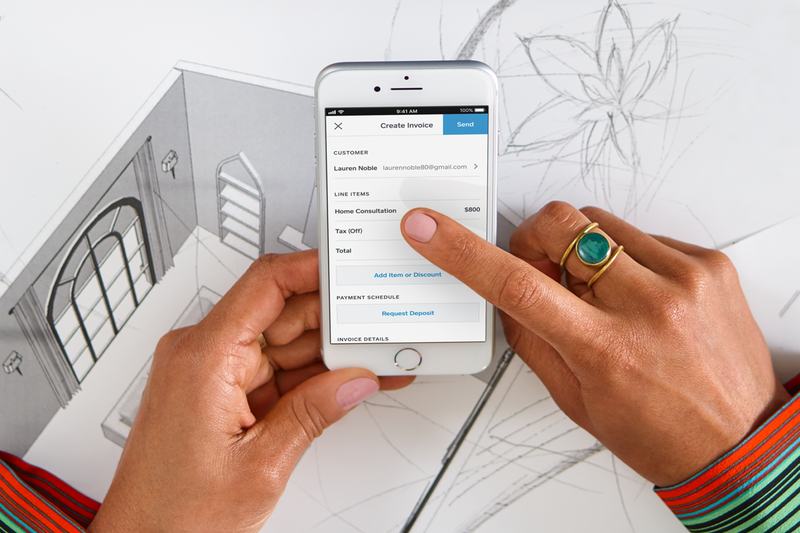 Now you can send and manage electronic invoices free through Square’s Invoices app on your phone or tablet. Mobile invoices are also really convenient. Over 80 percent of small business owners use mobile devices at least once a day to help run their business, according to research by Manta. Small business owners aren’t always in front of their computers, but they always have their phones at hand. Now you can send and manage invoices through our invoicing app, which makes it easier than ever to get paid from anywhere for your hard work. As soon as you finish a job, you can send a mobile invoice from your phone no matter where you are. There’s no need to wait until you’re at your desktop or to send paper invoices in the mail. Free to use — While many invoicing apps have a monthly fee, Square’s mobile invoicing app is free. Download the free invoicing app on your iOS or Android device. Get paid faster — On average, most Square’s invoices get paid within one business day. Once paid, funds from invoices are in your bank account in one to two days, available instantly with Square Card, or Instant Deposit. Convenient for clients — Your clients can easily and securely pay mobile invoices online from their phones or desktops with their debit or credit cards. If they’d rather pay by check or cash, you can easily log their payment in the system. Flexibility for your customers — Mobile invoicing can also be used to bill trusted customers who don’t have their credit card handy for in-person purchases. Manage cash flow — Request a deposit upfront to secure a large payment and smooth out your cash flow. Real-time access to your invoice status also keeps you informed of cash coming in. Book more jobs — In addition to sending invoices from your mobile device, you can also send estimates to confirm future jobs. Customers can approve estimates online, and you can convert approved estimates into an invoice with one tap. No fees for your customers — You pay just 2.9 percent + 30¢ per invoice paid online. Your customers are never charged a fee to pay. Square’s mobile invoicing app is conveniently located inside your free Square Invoices app. If you use Square Point of Sale for taking in-person transactions, you can also send and manage invoices from that app by navigating to the Invoices screen. For the moments when you are in front of a computer, you can also access all the functionality in the Square Invoices app from your Square Dashboard. Using our in-app, customizable invoice templates, you can invoice from anywhere and send unlimited invoices free.